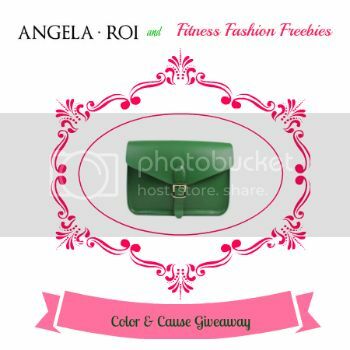 Welcome to the Colors and Cause Angela Roi Palette Green Cross Body Handbag Giveaway! Angela and Roi offers high quality vegan leather handbags with an aim to express individual uniqueness and passion in any season. 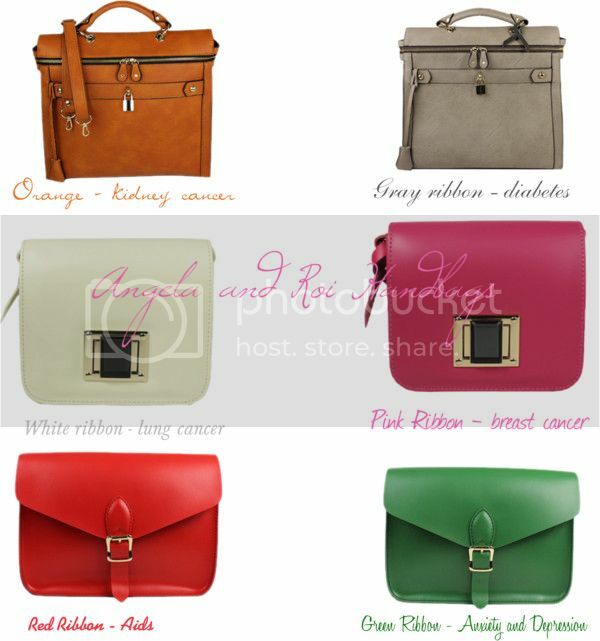 Comes with their handbags collection is the advocacy to help different cancer patient. Each bag color represents a certain cause and when you purchase a bag, $5 will be donated on that certain cause. Here are some of their bags and the causes it represents. One winner will get to own Angela Roi Palette Green Cross Body Handbag . Giveaway ends on March 4, 2013 , open to US , ages 18+. To enter, please use the Rafflecopter form below and good luck! If you win from my blog, let me know! Disclosure : I received no compensation for this publication. My opinions are my own and may differ from those of your own. This blog is not responsible for sponsor prize shipment. Prize will be mailed by the sponsor directly to the winner. Please contact Melandria's Musing with questions or to see your business or blog featured on the next event. I love that the purses are vegan leather and that this company gives back too. I admire all that give back and agree that I too need to do more. We have always been a family of giving, especially our time, but more can be done by us. My dad passed away in 1996 from bladder cancer. My mom 2012 the day before Thanksgiving from Stomach cancer. our family is always looking for companies that pay it forward. Both of my parents succumbed to cancer...my dad in 1996 (bladder)my mom 2012 (stomach).Cancer is a horrible life-altering disease for the patient and the ones left behind. To honor our parents we try and support businesses who pay it forward...I admire you mission.